Do You Waste $$ Targeting the Wrong Customer? Did you know only 25 cents of every dollar is spent targeting the wrong customer? Sadly it happens all the time and not just with small businesses. It happens at the large companies that proudly rank in Fortune 500. Here’s the culprit and what to do about it. Many campaigns don’t segment their audiences. Which means they don’t understand who are they? Why do we want to market to them? Without this definitive knowledge campaigns can “spray and pray”. Which means a huge number of customers get the same message regardless of their needs. 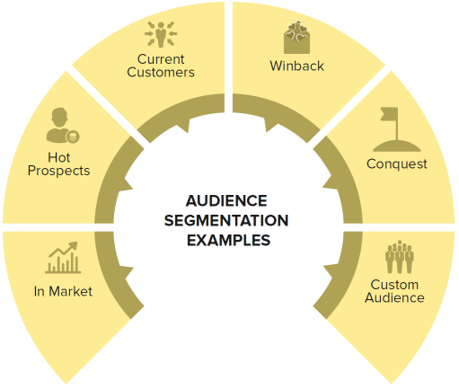 Raare Solutions customizes audience segments for each client and each campaign. This means the most targeted customer to get your message across. And finally, build CRM/Marketing playbooks to apply the models consistently across programs. Contact the Raare team to learn how you can target the RIGHT customer.